The 7th Mayo International Choral Festival will take place across Castlebar's region in fantastic locations and venues from Wednesday 23rd May to Sunday 27th May 2018. The event has become the most popular Choral Festivals in Ireland and has attracted choirs from the UK, Russia, Sweden, Bulgaria and throughout Ireland involving 39 choirs and 1,450 choristers last year. The theme of the festival is to allow choirs to meet with other choirs, share musical experiences and enjoy a great weekend in the beautiful and inspiring Mayo. There will be international and national choirs, competing and non-competing choirs, all performing in venues with special acoustics including Ballintubber Abbey which dates back to the 12th century. Highlights for visitors include tours of Mayo, local choirs, local performances, the Song-way Choral Trail, the Dawn Chorus and the Saturday evening Gala Concert. Competitions are open to the public from Saturday in the GMIT complex which dates back to 1866. The winning choirs will perform at the Gala Choral Concert. 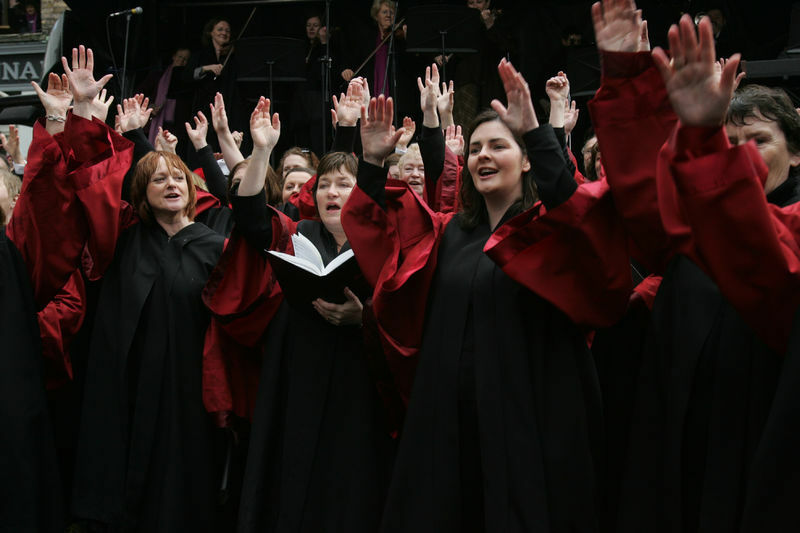 All long Saturday mini-performances of choirs will also take place throughout the town of Castlebar. On Sunday morning at 8 am a must for the music lovers is the Dawn Chorus on the shores of the beautiful Lough Lannagh, Castlebar. On Sunday morning at 10 am the Choirs will also sing at Mass in various locations in Mayo.